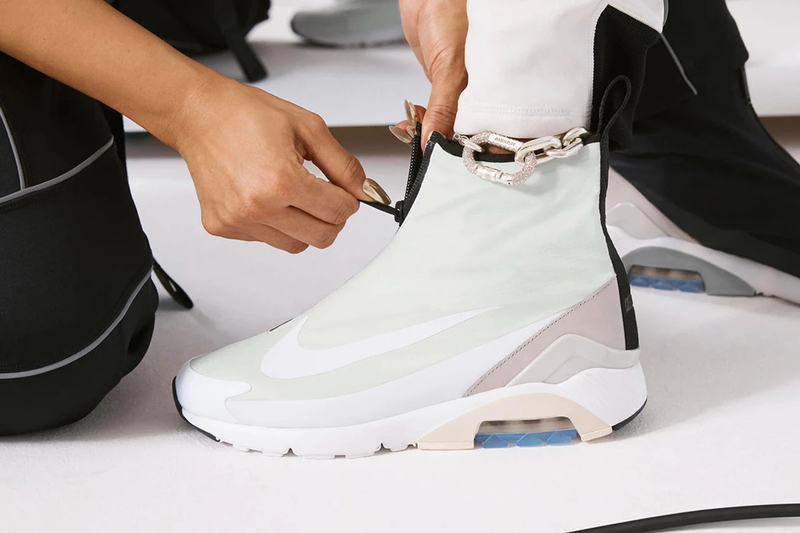 AMBUSH® and Nike are gearing up to drop the accompanying footwear from their recent collection. Now according to some reports, Yoon Ahn‘s take on the Air Max 180 is set for a limited release February 9 at Nike’s Soho flagship location. This collab utilizes the AM180’s sole unit, the shoe features a shroud upper complete with a zipper closure similar to what is found on the Air Zoom Flight The Glove. This might just be a women’s exclusive release just like the collection that dropped in December but more details will be shared soon we’re sure.